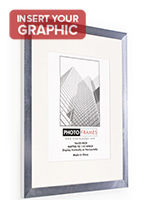 This Picture Frame is Equipped with a Brushed Aluminum Molding, as well as a Mat for a Stylish Touch! 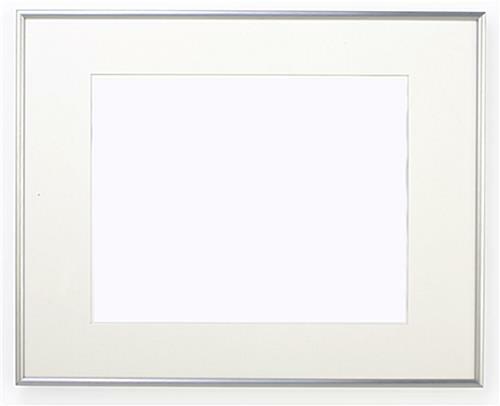 This Picture Frame is Perfect for Displaying Works of Art! Buy this Poster Holder or other Ready Made, Wholesale Photo Frames Online! 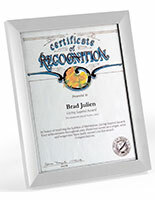 Aluminum picture frame has the upscale styling of a pewter or sterling silver unit. 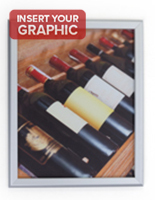 Flexible plastic lens provides a layer of non-reflective protection for posters & art prints. 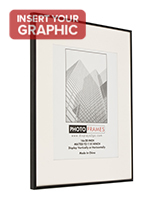 Silver picture frames have 3/8" wide molding to subtly highlight 16-1/4" x 20-1/4" prints. Removable accent mat to create a white border around prints, resulting in an 11" x 14" viewable area. 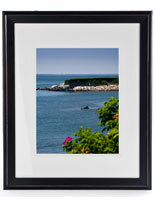 This picture frame has 3/8" wide sleek molding for a contemporary look. 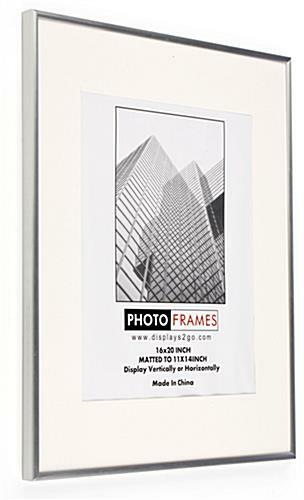 Featuring aluminum construction, this unit has many advantages over a pewter or sterling silver picture frame. 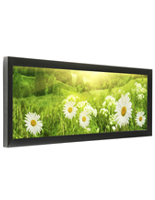 These displays weigh much less than designs made from heavier materials or that are metal plated. 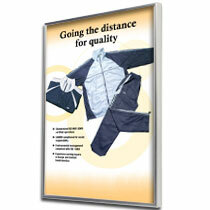 A lightweight design combined with the hangers on the backer board allows this poster holder to mount to a wall in landscape or portrait orientation. In addition, a sterling silver or pewter picture frame typically has a significantly higher cost than this unit. Finally, the aluminum molding requires virtually no maintenance or polishing, as pewter and sterling displays do. 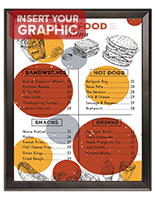 Order these aluminum poster frames to showcase images and graphics in a residence, office or store! This picture frame is an incredible bargain. This merchandise has a combination of a stylish design, affordable price and durable construction that offers the customers a great value. 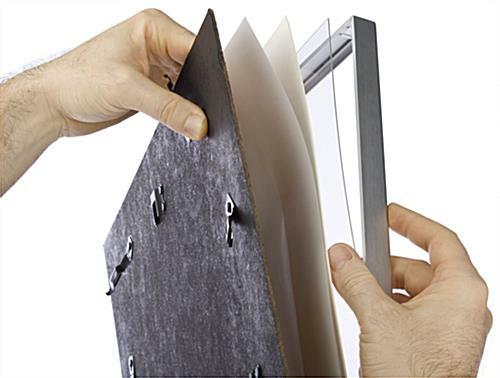 Each picture frame, called a photo display, is equipped with a removable accent mat. The matting is white, which contrasts with the aluminum molding in a way that generates a more refined look, which is perfect for displaying a wedding photo or an upscale advertisement. 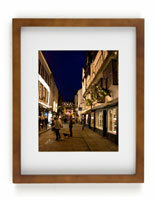 The accent matting creates an 11" x 14" viewable area for posters or prints. 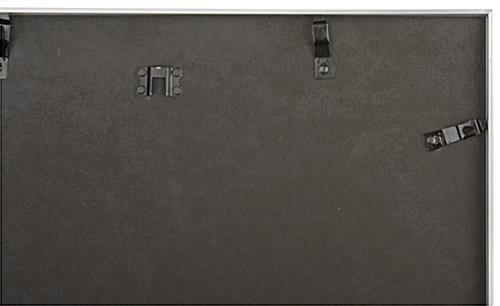 The picture frame provides a 16" x 20" viewable area for images, when the mat is not inserted. A transparent, flexible plastic lens is provided with each unit to protect photos from dust and fingerprints. The lens, mat and poster are secured in these picture frames with a rigid backboard that measures 1/8" thick.